Capt. John Yule Jr. was born in Cairo, Egypt. He came to the U.S. with his Scottish parents when he was one year old. He grew up in Long Beach, N.Y. and became a naturalized citizen when he was a boy. 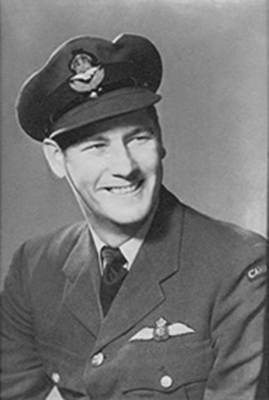 He served in the Royal Canadian Air Force during World War II and apparently also served in the U.S. Army Air Corps; perhaps one of the six-hundred-sixty-five American pilots serving with the R.C.A.F. who transferred to U.S. forces in the summer of 1942. John Yule is seen on the right in this photo, stamped "Republic Aviation Corporation" on the back. 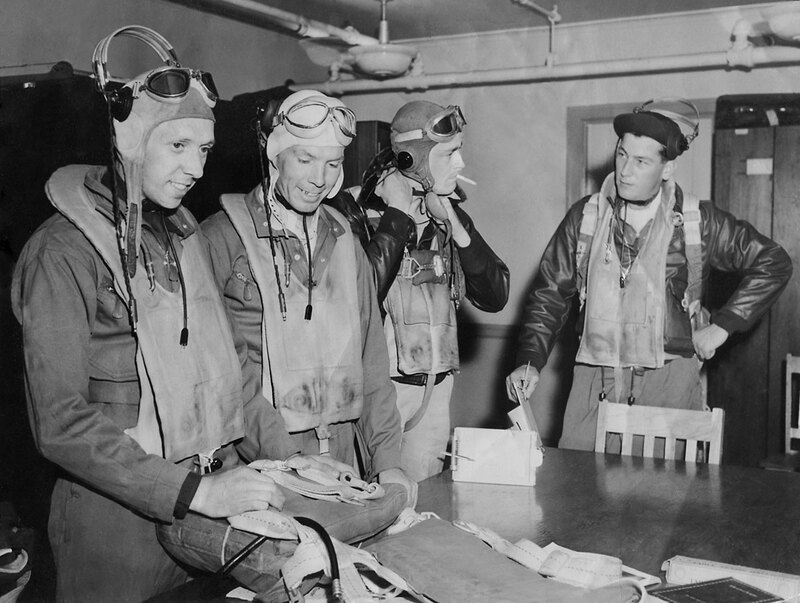 The flight gear is consistent with that worn by U.S. pilots early in the war. According to current information, he was the third pilot hired by Seaboard but he left the company within a year. John Yule is seen above in his R.C.A.F. uniform. He is survived by his daughters, Joy Harrison and Gay Yule; son, Lance Yule; and sister, Joy Yule Hansen.